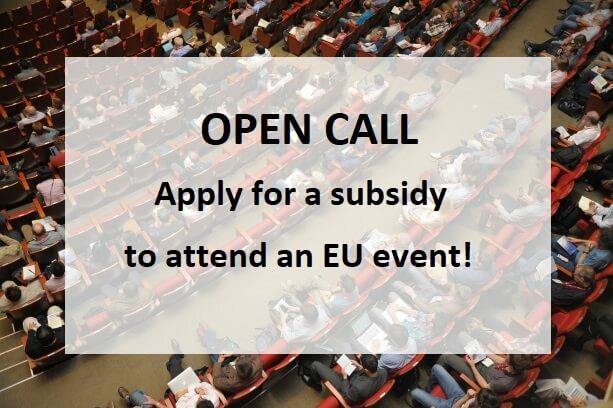 For the second consecutive year (2019), the LIFE National Contact Point, under the Project CAP LIFE14/CY/000006 Cyclamen Capacity Building, invite interested parties to request a subsidy for participating in an EU event (conference, workshop, seminar, network event, etc.) about environment and climate change. The aim of the participation is to facilitate the exchange of experience and best practices with other EU Member States, with the purpose of enhancing the diffusion of project results (possible reproducibility and marketisation) at national and EU level, so as to boost potential reproducibility and lead to the submission of new LIFE Proposals. The Programme subsidises the participation of one person per institution/organisation for traveling in another EU Member State and will cover travel costs (subsistence and travel expenses) as well as a participation fee, if applicable (maximum €1500 per person). Eligible bodies to apply for this funding are, Cypriot entities that have already benefited or are benefiting from the LIFE Programme or LIFE+, as well as Cypriot bodies interested in submitting a proposal under the 2019 LIFE Call, and which wish to attend an EU event. Click here to request the subsidy by the 22nd of February 2019! In order to receive their subsidy, the participants should, upon their return, submit a brief report on their participation to the event, along with the completed Annex II form for Traveling Overseas, attaching the original invoices or receipts. Whether the Proposal falls within the priorities of the LIFE Programme. For any questions or clarifications e-mail cmavronicola@environment.moa.gov.cy or call 22408919.